Fluor Corporation is a global engineering, procurement, fabrication, construction and maintenance company. It serves its clients by designing, building and maintaining safe, well executed, capital-efficient projects around the world. With headquarters in Irving, Texas, Fluor has more than 56,000 employees worldwide and is on the FORTUNE 500(r) list. 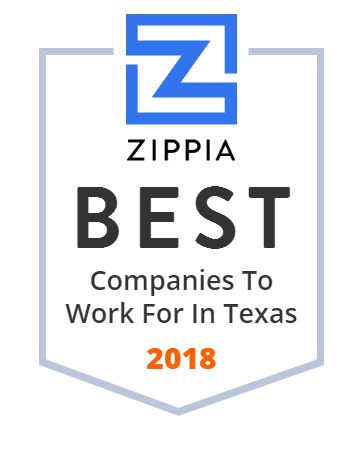 Insperity, Inc., previously known as Administaff, Inc., is a professional employer organization headquartered in Kingwood, now an area of Houston, Texas, since 1986. Insperity provides human resources and administrative services to small and medium-sized businesses. Since 2004, the company has been title sponsor of a professional golf tournament on the Champions Tour, previously known as the Administaff Small Business Classic. Paul J. Sarvadi, Chairman of the Board and Chief Executive Officer and co-founder of the Company and its subsidiaries, is a Class II director and has been a director since the Company's inception in 1986. BG Staffing is a staffing services company led by functional business experts in light industrial, multifamily, accounting & finance, administrative & clerical and information technology. Brands of BG Staffing, Inc. include: InStaff, BG Multifamily, American Partners Inc., Vision Technology Services, and other companies. Layne Christensen Company is a U.S.-based global water management, construction and drilling company, providing responsible solutions for water, mineral and energy resources. The company has two divisions, which are Water Resources-Mineral Services and Inliner. Bracewell LLP is an international law firm based in Houston, Texas, that began in 1945. KBR, Inc. is an American engineering, procurement, and construction company, formerly a subsidiary of Halliburton. S & B Engineers and Constructors, Ltd. is a privately owned, fully integrated engineering, procurement and construction company. Winstead PC is a national corporate law firm with offices in Texas and North Carolina. Ryan LLC, based in Dallas, Texas, is a tax services and consulting firm. Ryan LLC has more than 9,000 clients in over 40 countries. The company has over 75 locations, including locations in Canada, the Netherlands, the United Kingdom, India, Hungary, Mexico, Singapore, and Australia. Ryan LLC works with companies including 7-Eleven, the Kroger Company, Walmart Stores, and Johnson & Johnson. Haynes and Boone has its headquarters in the One Victory Park building in Victory Park Dallas, Texas. Vinson & Elkins LLP (or V&E) is an international law firm with approximately 700 lawyers worldwide headquartered in the First City Tower in Downtown Houston, Texas. Vault's 2018 and 2019 rankings placed V&E as the most prestigious firm in Texas and the #1 firm in the U.S. for Energy, Oil and Gas Law. The starting salary for first-year associates is $190,000. View apartment communities LumaCorp manages, join our team, find information if you live at a LumaCorp managed apartment community or work for us. JPI is a privately held real estate company in Irving, TX. It is is a national developer, builder and investment manager of Class A multifamily assets in selected US markets that specializes in development, construction, asset management and comprehensive investment capital management. Its developments include garden-style communities, mid- to high-density wrap and podium projects, student housing, etc. The company has additional locations in San Diego, CA, and Irvington, NY. Burrow Global, LLC is a full-service Engineering, Procurement and Construction Company with specialty expertise in automation, industrial buildings and I&E Construction. alliantgroup is a national tax consulting services firm that works with CPA firms and their business clients to identify and claim available federal and state government-sponsored tax credits and incentives. Baker Botts L.L.P. is a major United States-based international law firm of around 725 lawyers, with a long, prominent history and significant political connections, claiming more than half of the Fortune 100 companies among its clients. Headquartered in One Shell Plaza in Downtown Houston, Texas, the firm has a major list of energy related clients. It is said to be the second-oldest law firm west of the Mississippi. Mission: To guide, support and enhance the mission of community hospitals and healthcare providers. Our company was built on the belief that we challenge the norm through our five Crane Worldwide value propositions: Our People, Our Service Execution, Our Information Technology, Our Compliance & Quality Programs, and Our Account Management. The Littleton Group understands the overall quality of insurance services makes the difference between satisfied customers and those who look elsewhere. We look forward to assisting you with your claims administration program. Stand out from the crowd of agents and build a successful insurance business with the products and support from insurance marketing experts, The Brokerage. Independent Bank is a multi-billion dollar community financial institution that provides a wide range of relationship-driven commercial banking products and services to businesses, professional organizations, community groups and entrepreneurs. It operates banking offices throughout Texas including the Dallas/Fort Worth, Austin and Houston areas as well as along the Colorado Front Range. At Healthcare Consultants, Inc., we are your dependable small group and large group business health insurance and employee benefit provider. Houston Texas group health insurance broker specialists servicing employee benefits. WorldLink is a trusted Talent and Technology services firm that evolved alongside each wave of technology development and helped its business partners do the same. Sterling Construction is a leading heavy civil construction company that specializes in the building and reconstruction of transportation and water infrastructure. As the established global expert in online market research data, Research Now optimizes your market research and decision-making to drive business results. Mercy Ships is an international charity. Mercy Ships currently operates the largest non-governmental hospital ship in the world. Gardere Wynne Sewell LLP is a full-service law firm with offices in Austin, Dallas, Denver, Houston and Mexico City. Buy Silver, Gold, and Copper bullion online at Silver.com - the bullion market leader. Fast & secure shipping. Call us at 888-989-7223. Jamail & Smith Construction is committed to the communities in which we live and work. CornerStone Staffing has been servicing the Dallas-Fort Worth metroplex since 1991. They are committed to supporting the community through their core values of compassion, integrity, self discipline, and faith. Susan G. Komen, formerly known as Susan G.
US Shale Solutions, Inc., through its subsidiaries, provides technology-enabled strategic solutions to the oil and gas industry. It offers midstream infrastructure and production equipment installation services, such as pipeline construction, fabrication, location construction, well site hookups, compressor station construction, pipeline rehabilitation services, contaminated soil remediation, station construction, hydrostatic pressure testing, oil field maintenance services, and construction and maintenance of lease roads to natural gas gathering, processing and transmission, and E&P companies. The company also provides pipeline installation and fabrication services, including oil field facility construction and module fabrication services. In addition, it offers services for production applications, such as flow back and well testing, lease operation and consulting, facilities solutions, pipeline construction and maintenance, and roustabout services. Further, the company provides fluid services, which include hydrochloric acid solutions, packer fluids, coil tubing circulating fluid additives, and solutions of calcium chloride, sodium chloride, and potassium chloride; and solutions for the transportation of water and oil-base fluids, acid solutions, and specialty packer fluids. US Shale Solutions, Inc. was incorporated in 2013 and is based in Houston, Texas. For more than 65 years, Weaver has provided assurance, tax and advisory services to companies across Texas and beyond. Animato is a consulting solutions provider that partners with clients to align business processes and technology work to create value. Staffing agency specializing in Engineering, Design and Procurement for Offshore, Oil and Gas, Refining, Petrochemical, Drilling, Pipeline and Power Industries. Dallas law firm serving companies and individuals who need the highest level of legal expertise. We serve clients in all areas of law. BG Professional is one of the leading IT, accounting and finance recruiting firms, nationwide. Contact us today for more information. MTS Transportation are nationwide freight brokers offering Refrigerated, Dry Van, Carbon Black, and Power Only Transportation. 800-998-7889. Omniplan, founded by George Harrell and EG Hamilton, was established in 1956 to provide service and design in architecture, interior architecture, and planning. Today's Office has proudly been the premier contract furniture dealer of Arkansas since 1971. This company is more than a contract dealership; they are a business partner trained to offer solutions related to their client's space. Whether the project is big or small, at Today's Office, clients will work with an experienced team consisting of a workplace sales consultant, a design project coordinator, an installation project manager, and an administrative assistant. Crowley Independent School District is a public school district based in Crowley, Texas.